Our goal to achieve wellness is directly pointed at Advocare. These products not only provide nutritional wellness needs, but also financial wellness needs. When you place an order for any of our products through our web store at Advocare, 10% of the amount you spend will be donated towards Parkinson's Disease research. Place your order or find out more by clicking on the Advocare image. 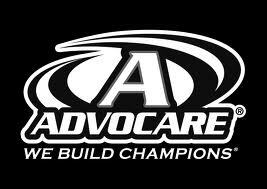 You'll be redirected to our site that tells you about the products and opportunity of Advocare.